West Ham fans appear to fancy the prospect of Arthur Masuaku starting the season ahead on the Hammers international Aaron Cresswell. 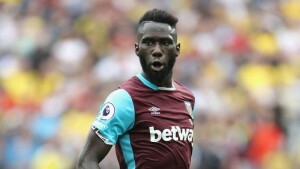 Masuaku was outstanding when replacing the Hammers England international when called up by Slaven Bilic last season although the former Hammer of the Year ended the season in excellent form. However, the 24 year old Frenchman appears to have caught the imagination of the fans and finished with a clear lead as first choice in the latest poll run by ClaretandHugh among its followers. A total of just over 1800 voted in the poll which saw Masuaku collect 888 votes (49.22 of the vote) with Creswell gathering 740 votes (41.02). However there was a big “don’t know” vote with 176 (9.76pc) unsure which of the two should get the Bilic shout for the opening game against Manchester United. Not for me. It’s Cresswell all day long however this season he has real completion for the shirt and he needs to step up. Cresswell and Zablatta along with 2 of Reid Fonte and Ogbonna really excites me. You add Byram and Ginge in the mix and anyone of 3 or 4 youth and you can see why defence isn’t the concern this window. Just as Mr Gold said in fact to much gushing of wet pants. I still a top quality keeper in place of Randolph would be good but I do like and have faith in Adrian with a decent defence in front of him. Cresswell has epitomised a lot of things wrong with the team for me last season. He may as well not be there on the wing, opposition go straight through him. Masuaka made as many tackles as him despite having way less appearances and even he isn’t renowned for this defending. His final product in the final third has been shocking as well. He’s been a different player compared to last season. As I said yesterday it’s all about defending rather than attacking, and Cressy gets my vote. Of course his season was disrupted by 2 injuries so he was not right till the last few games, but Masuaku only got it right in attacking in the last part of the season. For me the jury is still out for his defending. It’s good for us that they must both compete for the shirt. I like ’em both. Obviously we’ve seen more of Cresswell, but Masuaku is worth hanging on to as his improvement over last season was excellent.